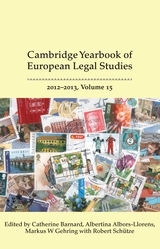 The Cambridge Yearbook of European Legal Studies provides a forum for the scrutiny of significant issues in EU Law, the law of the European Convention on Human Rights, and Comparative Law with a 'European' dimension, and particularly those issues which have come to the fore during the year preceding publication. The contributions appearing in the collection are commissioned by the Centre for European Legal Studies (CELS) Cambridge, a research centre in the Law Faculty of the University of Cambridge specialising in European legal issues. The papers presented are at the cutting edge of the fields which they address, and reflect the views of recognised experts drawn from the University world, legal practice, and the institutions of both the EU and its Member States. 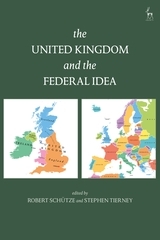 Inclusion of the comparative dimension brings a fresh perspective to the study of European law, and highlights the effects of globalisation of the law more generally, and the resulting cross fertilisation of norms and ideas that has occurred among previously sovereign and separate legal orders. 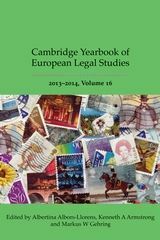 The Cambridge Yearbook of European Legal Studies is an invaluable resource for those wishing to keep pace with legal developments in the fast moving world of European integration. To place an annual online subscription or a print standing order through Hart Publishing please click on the link below. Please note that any customers who have a standing order for the printed volumes will now be entitled to free online access. 7. The EU and the European Social Charter: Never the Twain Shall Meet? 9. The Area of Freedom, Security and Justice in the Light of the EU Accession to the ECHR-Is the Break-up Inevitable? 15. Proportionality in EU Law: A Balancing Act? 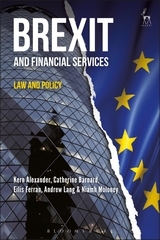 Catherine Barnard is Professor of EU Law and Employment Law and Fellow of Trinity College, University of Cambridge. Albertina Albors-Llorens is University Senior Lecturer, Fellow of St John's College and Member of the Centre for European Legal Studies at the Faculty of Law, University of Cambridge. Photograph courtesy of University of Cambridge. Markus W Gehring is University Lecturer, Fellow of Hughes Hall and Deputy Director of the Centre for European Legal Studies at the Faculty of Law, University of Cambridge.